← GALA Events: Past, Present, and Future! Stephen Fusco 98C 01L at Hillside. One day in a man’s life can change everything. For Stephen Fusco 98C 01L that day came when he walked away from his 12-year law career as general counsel for a medical lab to become a Georgia middle school science and math teacher at an adolescent psychiatric residential treatment facility. “I just wasn’t meant to be a lawyer,” he says in hindsight. 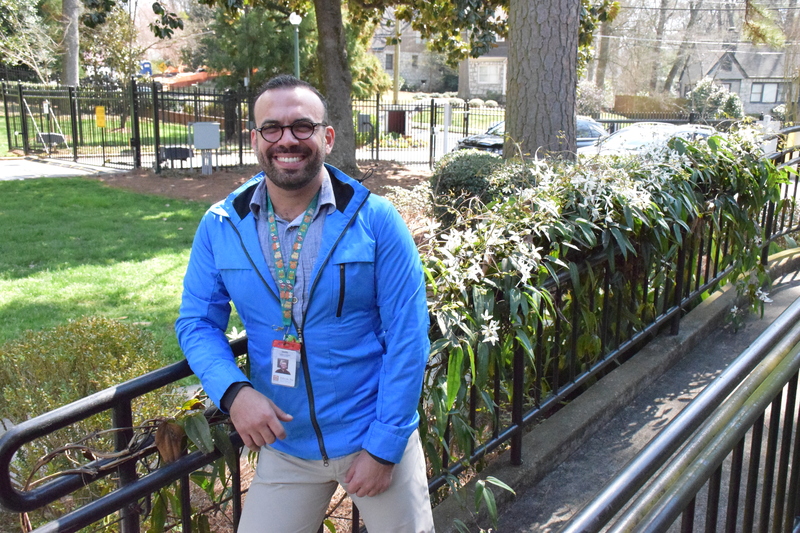 Fusco is indeed a courageous leader: one who is committed to giving back, making the world brighter for kids, and demonstrating that sharing human compassion often requires dedication in the most trying times. Nowadays his challenges don’t arise from solving the complicated corporate legal issues he encountered as counsel for a national medical laboratory. Instead, they come from realizing the very best way to educationally nurture and reach a child with behavioral or emotional disabilities at Hillside in Atlanta. 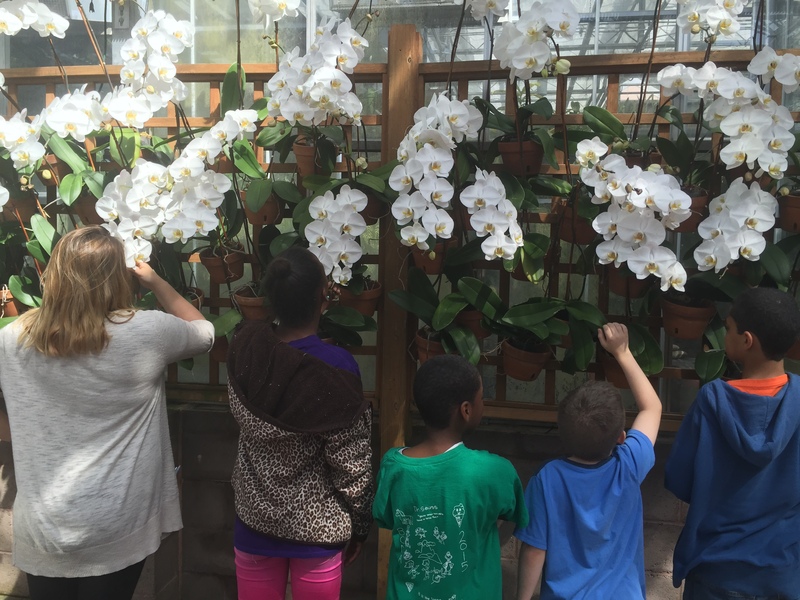 Some of Fusco’s students during a field trip to the Atlanta Botanical Gardens. For this Barkley Forum alumnus, following his instincts made him trade his BMW for a Kia and downsized his life. My family supported my decision. “All I knew is that I wanted to help people. I quit for no other reason than that,” he recalls. Fusco translates this passion into his current role as teacher. His classroom for 9-12 children includes the services of two behavioral specialists. But Fusco is not a “sit behind the desk” teacher. Instead, he is engaging, interactive, and challenging. He often pairs students to balance learning styles and work collaboratively. “I teach my students to think critically and use technology appropriately,” he says. 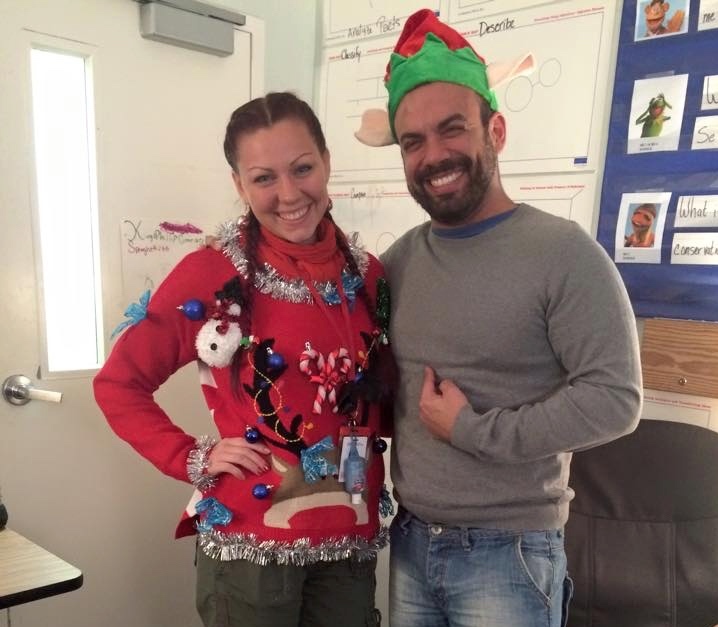 Fusco and his colleague Meghan in their Winter Festival attire. 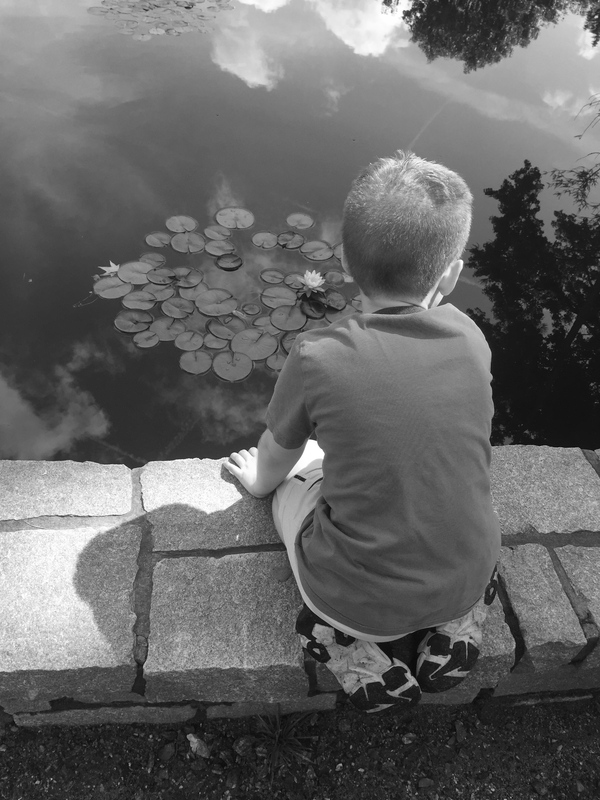 A student pauses for a moment of quiet reflection. This entry was posted in alumni updates and tagged alumni. Bookmark the permalink. A great article, sounds like a great guy!